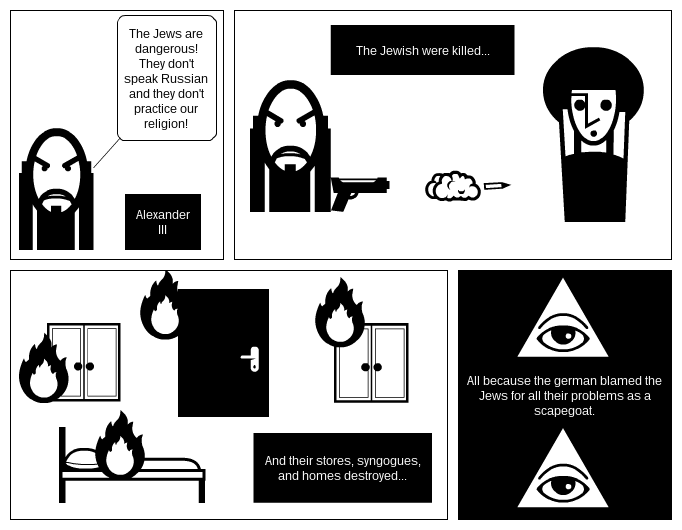 Alexander III using Jewish people and culture as a scapegoat for his own countries problems. The Jews are dangerous! They don't speak Russian and they don't practice our religion! All because the german blamed the Jews for all their problems as a scapegoat.